We want to tell you about some beautiful things happening in this community. Muskoka is the home of a handful of Syrian immigrant families, refugees from the civil war who have arrived in Muskoka over the course of the last two years, sponsored by local churches and community groups. At Ramadan, the holy month of fasting for Muslims — which this year was from May 17 to June 14 — the congregation at St. Mark Anglican Church in Milford Bay very kindly donated the use of some of their space for those observing Ramadan to use as a local Mosque. The families cleaned and decorated the space, meeting there most evenings for Iftar – the daily breaking of their fast and prayer, which often lasted until midnight. Contributing to their community is an important part of Ramadan, and the group collected donations. At Eid, the end of Ramadan, they hosted a celebration for the local community, to say thank you and to share a meal and information about Islam. 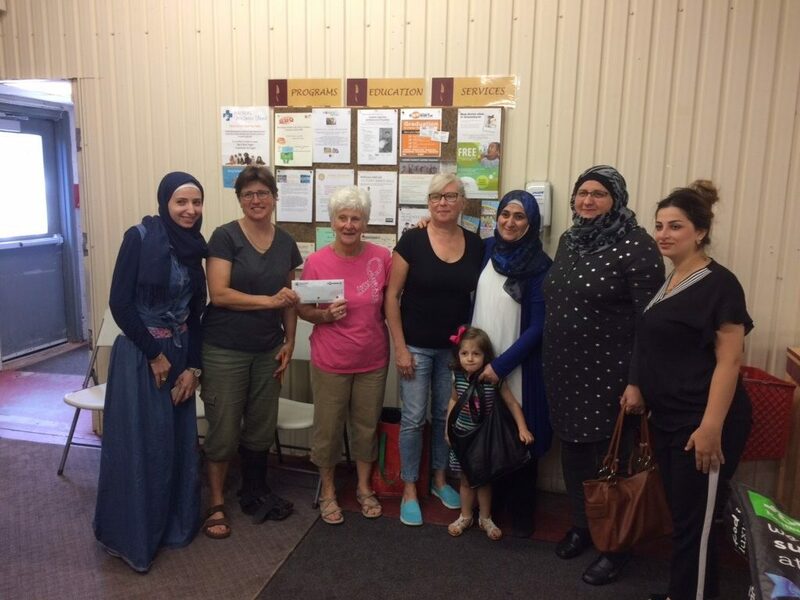 And they gave the donations they collected during Ramadan — to the Manna Food Bank. Eid celebrants in Muskoka donating to Manna. What a beautiful thing. With all of the negativity in the world today, this warms the heart. Thank you to all. More information about Ramadan | Iftar | Eid | Syrian refugees in Muskoka.